Discover with us the hockey timeline, from its cradle to the present day. Feel the atmosphere of hockey cups, the Olympic games and the final game of the Stanley Cup. Look with your own eyes at cups, medals and awards handed out to the best players. 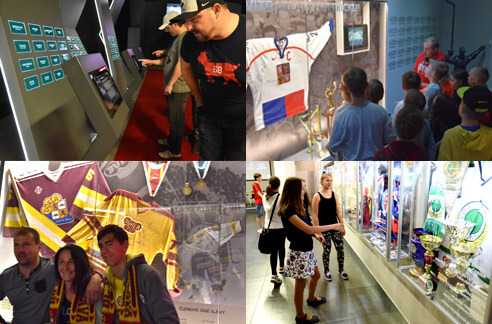 The shirts, hockey sticks, pucks, and other precious objects closely intertwined with the achievements of hockey stars are waiting for you in the exhibitions at the Hall of Fame. 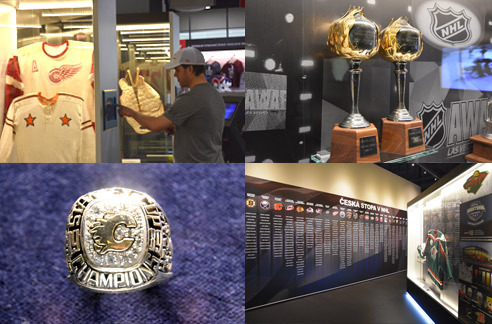 Do you know that most of the exposition belongs to the Hockey Hall of Fame in Toronto and they probably won’t be in Europe again? 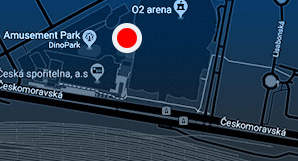 Do you know that you can discover NHL statistics and records with one touch? And that with another touch you can see all trophies you can get in? Do you know how many historical records are in one video-terminal? You can’t see that much NHL! Do you know how many of our players played in NHL, who was the first? Do you know who was introduced to the Hall of Fame and why? Do you know when hockey was introduced here and its biggest achievments? Do you know which teams won six or more league championships? Do you know that Prague hockey wrote a glorious history, do you know the oldest clubs in the capital city? Do you know how the first skates looked like or what was “The Dominator” wearing when he was goaltender in Nagano? Have you ever been in a hockey locker room? 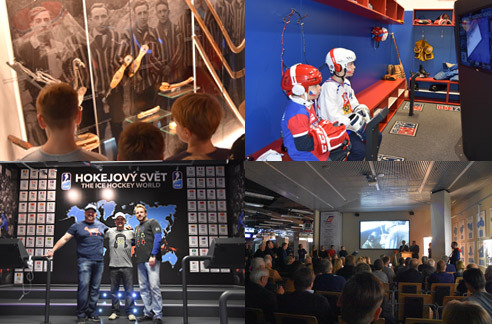 Did you know that we have one place where you can see and hear the recordings of the famous TV and radio commentators, videos recorded from the players' point of view, read material from the electronic ice hockey library and surf the hockey internet? Our interactive kiosk is in the stand. Choose a record and sit in the hall where you will see exclusively hockey programs. Only honour guests have sat where you are sitting now.